Our Kitchen Porters are on the ball. They might work behind the scenes, but they’re still at the heart of every service. We’re looking for a true team player to join the family. Take your career to the next level at Côte.<br><br>As one of the UK's fastest growing restaurant groups, we enjoy a hugely loyal following thanks to the quality and consistency of our fantastic food. Kitchen Porters in Côte Restaurants are:<br><br>•	Eager to learn <br>•	Supportive of the team<br>•	Calm under pressure<br>•	Quick and dependable <br><br>We invest in our teams, providing industry-leading training that will enable you to progress as a Kitchen Porters. And then there are the perks:<br><br>•	Learning and Development programme<br>•	Unrivalled career opportunities<br>•	Performance-related incentives<br>•	Restaurant discounts<br>•	Childcare voucher scheme<br>•	Long service gifts, and more! <br><br>Our Brasseries are inspired by the modern bistros of Paris. It starts with authentic French cuisine in a relaxed ambience. It means the finest attention to detail, from prep to plate. Let’s deliver the extraordinary. <br><br>Become a Kitchen Porter. 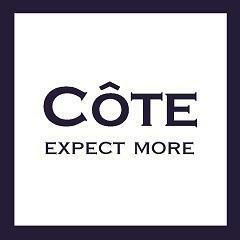 Expect more at Côte. Côte - Newbury is posting their hospitality jobs on Harri.